In the Bull of Indiction for the Year of Mercy, Pope Francis said that “wherever the church is present, the mercy of the father must be evident. In our parishes, communities, associations and movements – in a word, wherever there are Christians everyone should find an oasis of mercy’. My mind goes towards all those in leadership positions in Africa who have created the enabling conditions for the trafficking in persons; to parents who failed to give proper care and moral education at home thereby allowing their children to run loose; to church structures that failed to teach families that there was a natural way of planning families; to government officials who squander the commonwealth through corruption and refuse to invest in needed schemes and infrastructure that could develop citizenry and diminish ignorance; to the astounding greed that manifests itself in a section of humanity that would trade and profit on human beings and human parts; to the stubbornness of afflicted hearts who desire to perpetrate what they themselves have gone through…And I say Lord have mercy! Christ have mercy! Lord have mercy! I say Lord have mercy for the hardness of heart that has driven many a child away into the wild unknown world of victimhood. We have to work against the indifference that assigns culpability to others and absolves us of every wrongdoing. The onus therefore lies on everyone to do something to combat and prevent this modern day slavery. We must commend the Holy Father for sharing his burden on migration with a mass audience. Regarding human trafficking, from the experience of those who work with Nigerian girls trafficked overseas, it is much more difficult to get someone to abandon this economic way of life than to prevent someone from embracing it. It is a frustrating job. This is why Caritas Nigeria and its partners efforts are concentrated on preventive measures. In Edo State, for example, efforts have been made to nip it in the bud. Caritas Nigeria has in the past two years located an officer in Benin City who has the responsibility of sensitising churches and communities around the city. Caritas Nigeria partners such as Cosudo, Dioceses of Uromi and Benin are integrating the fight against trafficking into their strategies. Apart from community education programmes, the household economic strengthening programmes that benefit orphans and vulnerable children help to address this problem. Caritas Nigeria has supported Uromi to benefit dozens of households, while over 500 women have benefitted from the micro credit programme. The Orphans and Vulnerable Children programme through Catholic Relief Services (CRS) has about 2214 households enrolled. 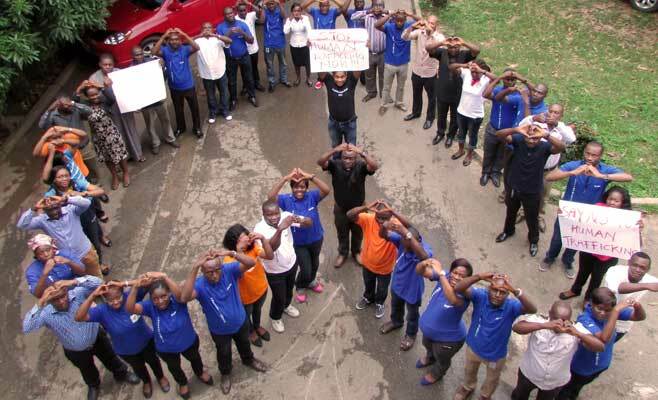 MISEREOR continues to support Uromi and Auchi to deal with women and child rights issues. But challenges continue to abound as the gap between expectation and reality is wide. 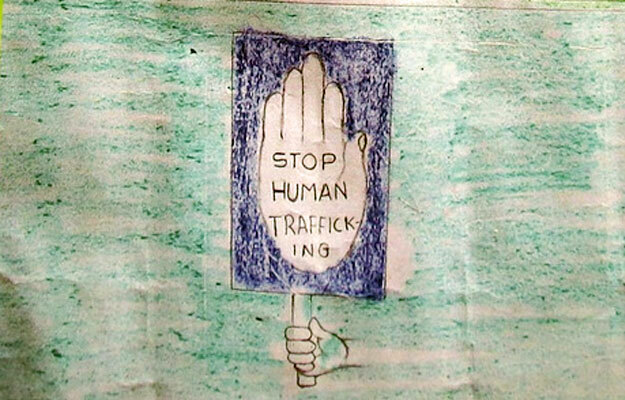 Many of the trafficking returnees, used to quick money, find the pace and profit of a small business or a skill-related enterprise too slow and quickly desire to ‘return to Egypt’ and slavery. These young women need a constant accompaniment that may not be part of our capacities for now. We have been taught about God’s mercy, and indeed we know God is compassion and love; but now it is brought to us afresh with such urgency and reality. For instance on opening the message of the 2016 World Day of Peace given by the Holy Father, I was stung by these words: “God is not indifferent! God cares about mankind! God does not abandon us!” For a moment I dropped my mobile device and let the words flood my brain like an over-intoxicating drink. The Year of Mercy is not a year; it is a celebration of the state of mercy; for it is a bold attempt, a mere capsule of an eternal, inexhaustible reality, the mercy and compassion of One who has neither a beginning nor end and whose gaze upon us is as doting as a married mother who has had her first child after fifteen years of waiting on the Lord. ‘Mercy: the ultimate and supreme act by which God comes to meet us…Mercy: the bridge that connects God and man, opening our hearts to a hope of being loved forever despite our sinfulness…’. Mercy is real. Pope Francis has reminded us that everything is connected. Indeed everyone is connected. Our common prayer is our greatest instrument of connectivity. Our world seems terrible, but it could have been worse without the prayers. As long as we pray, there is hope for a better world.